Free Med Peet's Coffee drink w/ purchase. ​Chick-fil-A is introducing a new sandwich, the Spicy Chicken Biscuit. It's pretty much a breakfast rendition of the chain's Spicy Chicken Sandwich, which compared to its same-named rivals at Carl's Jr. and Wendy's, makes a pretty decent kick on the heat thermometer. Participating locations are giving away a limited number of free Spicy Chicken Biscuits from Jan. 3-8 to those who make an online reservation beginning on Monday, Dec. 27. All others must wait until the sandwich is officially added to the menu on Jan. 10. Free 2 entree plate at Panta Express w/ gift card purch. 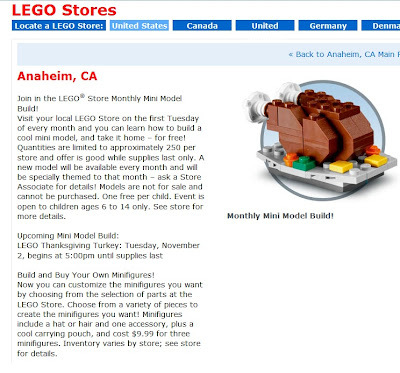 Anaheim, CAJoin in the LEGO® Store Monthly Mini Model Build! Build and Buy Your Own Minifigures! Treat yourself to two filet mignon and chicken entrées, served with Benihana onion soup, Benihana salad, hibachi shrimp appetizer, mushrooms, hibachi vegetables, homemade dipping sauces, steamed rice and Japanese hot green tea, all for just $39 (tax and gratuity excluded). The annual Winter Festival and Tree Lighting Ceremony will be held on Saturday, December 11, 2010 from 12:00pm to 5:30pm at La Plaza Park. Event includes: Craft Faire, Live Reindeer, Santa, Petting Zoo, Real Snow, Entertainment and Children's crafts, games and cookie decorating. For more information call (949) 248-3530 or email smurphy@danapoint.org. Take advantage of great room packages featuring the best buffet offer in years! Stay at least TWO NIGHTS at the Vegas resort of your choice, and enjoy two all-day, unlimited-access buffet passes to any of seven world-class buffets. Your all-day buffet passes are valid at ALL SEVEN PROPERTIES. Eat at Rio's acclaimed Carnival World Buffet, Le Village Buffet at Paris, Planet Hollywood's Spice Market Buffet, Flamingo's Paradise Garden Buffet, Flavors at Harrah's, Lago Buffet at Caesars Palace and the Emperor's Buffet at Imperial Palace. Just charge your buffet to your room, and you're on your way to a once-in-a-lifetime Las Vegas buffet experience. For a limited time when you stop into your neighborhood Corner Bakery Cafe, enjoy a FREE cup of any of our Homemade Soups with the purchase of a salad or sandwich. Click here for a printer-friendly version of the offer. Tue, Nov 9 (4-7p) $1 drinks at Coffee Bean & Tea Leaf! Click here for the full offer* Check your local store for closing times. Offer valid only at participating The Coffee Bean & Tea Leaf® retail locations in AZ and CA. Not valid in Ralphs, school campus, casino or military base locations. 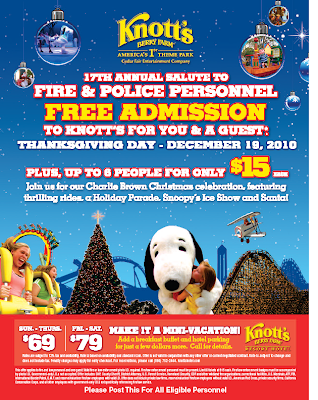 Valid only on November 9, 2010 from 4pm to 7pm. Offer applies to one (1) 12oz. Red Velvet Hot Cocoa, one (1) 12oz. Red Velvet Ice Blended® drink, one (1) 12oz. Winter Dream Tea® Latte or one (1) 12oz. Gingerbread Cookie Latte. No substitutions. Cannot be combined with other offers.